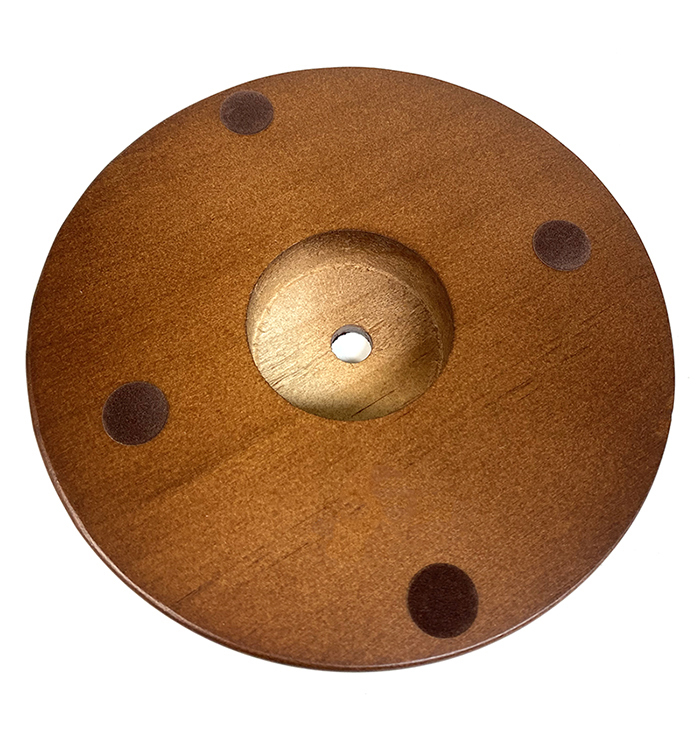 Walnut Finish Wood Lamp Bases for making and restoring lamps. 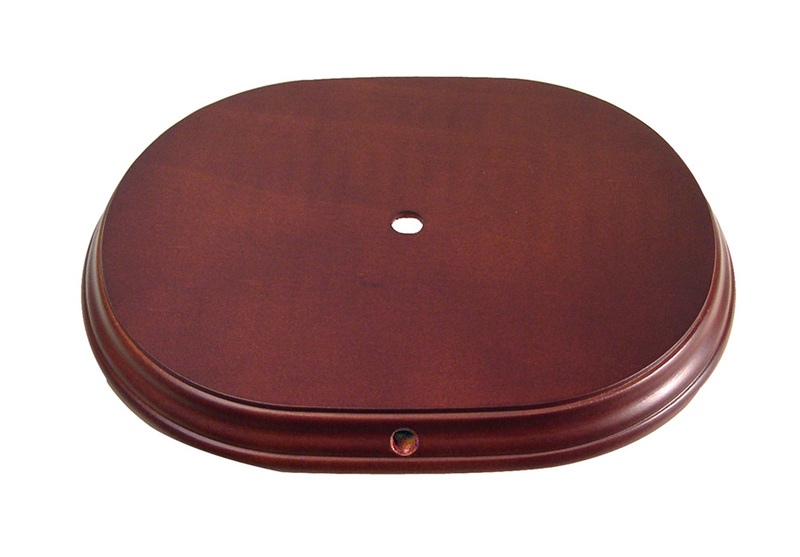 Elegantly Crafted & Finished Lamp Bases Have Satin Dark Walnut Finish. 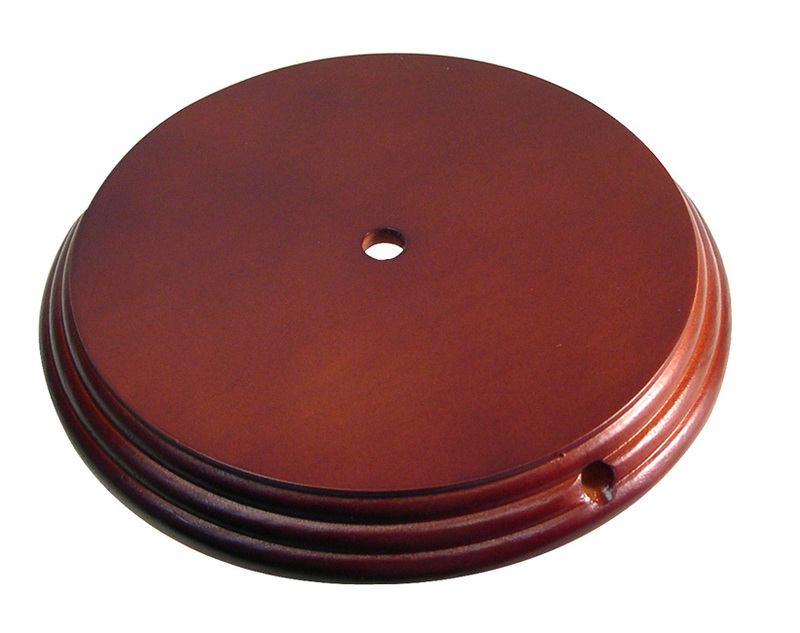 3/4" Thick Genuine Wood Bases Have Felt Pads on Bottom to Protect Surfaces. 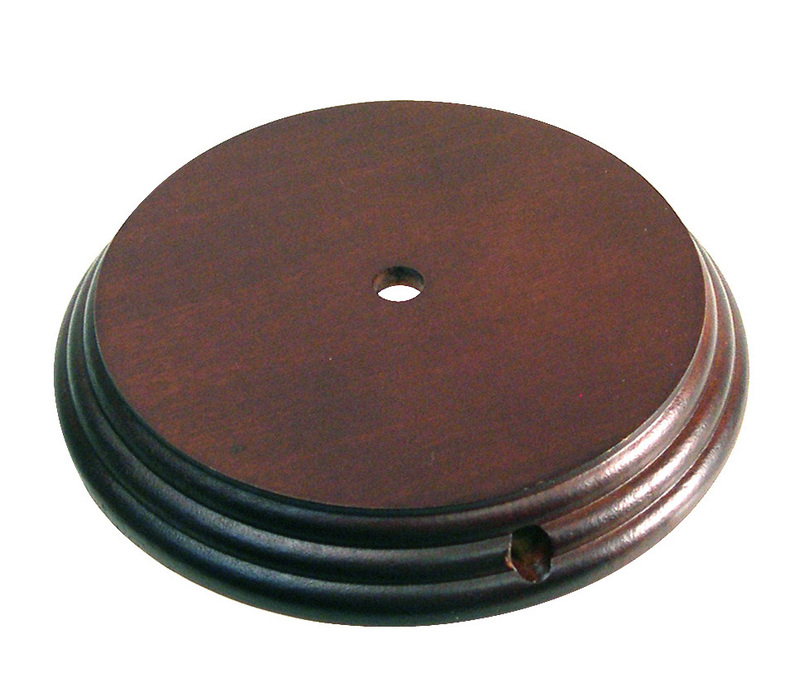 Underside of Center Hole is Countersunk to Aid in Wiring & Securing Lamp Pipe. See also "Lamp Cords" & "Sockets"